And one of the few new projects in the city centre, pictured above, does it’s best to undermine Barcelona’s architectural heritage. If that’s what developers are going to build in iconic locations of Barcelona, perhaps it’s best they build nothing. 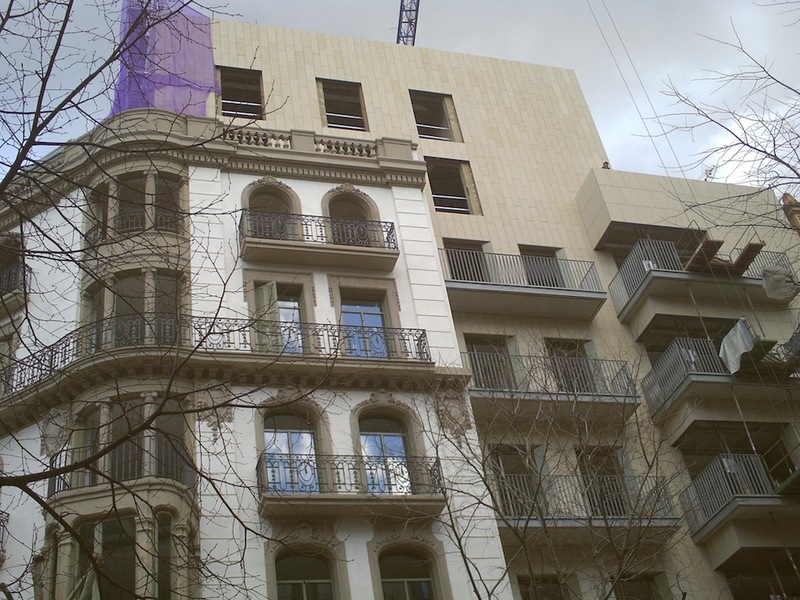 Going back to the report by Forcadell, rental demand in the Catalan capital increased 3.6pc in the second half of last year, and the stock of homes on the market also grew, but rental prices and house prices kept falling. Forcadell do not expect any big changes in the market in the coming months. “Prices will continue trending down whilst the supply and demand for housing remains stable,” they conclude, whilst forecasting that Barcelona house prices will bottom out in the first half of 2014.